Luci Barker: I Heart Revolution Easter Egg Palette's | My Thoughts & Eye Looks! I Heart Revolution Easter Egg Palette's | My Thoughts & Eye Looks! Top: Chocolate, Left: Flamingo, Right: Candy. I picked up the Flamingo, Chocolate and Candy Palettes because these looked like the would be the ones I would most likely use and they also have a few shades in them which I knew I would be able to experiment and play with. As with every other Revolution product, these palettes are such good quality, the shadows are very pigmented and I love this Easter egg idea. I think the only downfall (if that’s the right way to describe it) for me is that I probably wouldn’t use the yellow highlight shade in the Choocolate palette. But I could seem myself using it as an inner corner highlight or as a shimmer lid colour for a cut crease / spotlight eye. 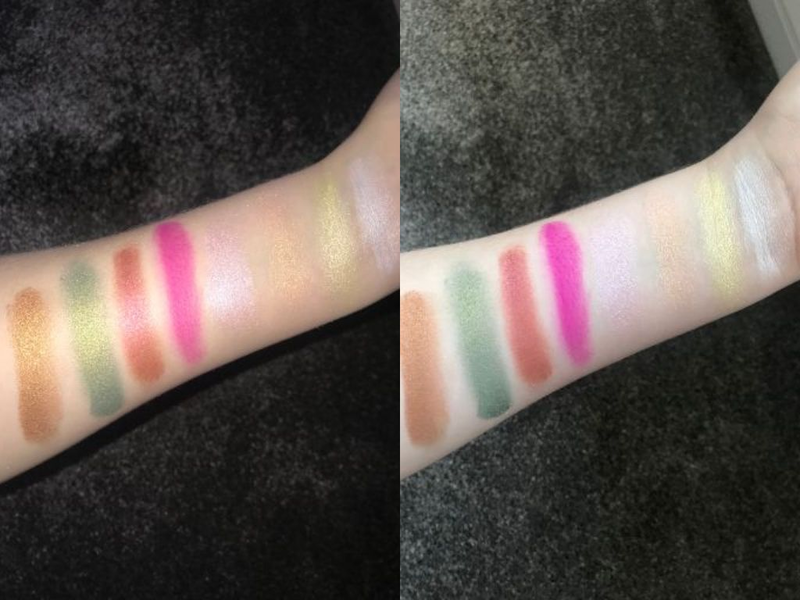 Here are a few swatches from the palettes and they're done using just one swipe of the products. So as you can see, they're very pigmented and they're really smooth and easy to blend as well. There is also one other Easter Egg palette in this collection which is called Chick and this one is more of a spring kinda palette with yellow, orange and burgundy. The highlight shades in this palette are absolutely to die for and I may need to get that one particularly just for the highlighters, but saying that one of them does look a little dark ... with a tan however, I will deffo use it. 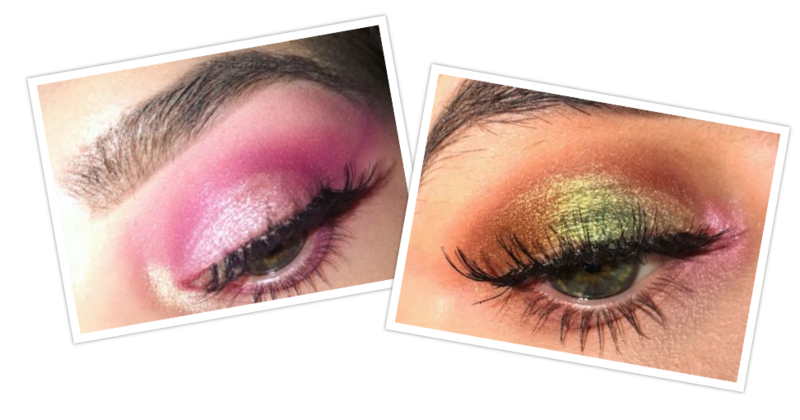 Some of the looks I created using these palettes! Thankyou so much for taking the time to read this post, I really hope you liked it. If you haven't already caught up with my previous post and you would like to you can click the link below. Also as google+ is closing, if you want to be notified when I upload and you don't want to miss out please follow my Bloglovin' (link is below). Great post - these are so pigmented! I also love how the packaging is themed for the holiday :) Thanks for sharing! Revolution Skincare Haul + My Thoughts! Birchbox Unboxing | March 2019. Drugstore Makeup Haul + First Impressions.